So easy and perfectly patriotic! 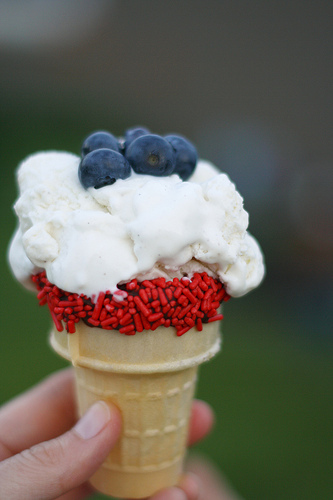 I love these fun 4th of July ice cream cones from The Pretty Bee. thank you for featuring me! happy 4th! Kelly, thanks for sharing such a fun 4th of July treat! I love your blog!